Most Harley-Davidson motorcycles on the road today are running 10 to 40 percent below potential. This is where a chassis dynameter can help your machine reach its full power output. Dynamometers take measurements at various engine speeds and convert those numbers to horsepower and torque values. Using the formula that horsepower equals torque in ft-lbs., multiplied by rpm and divided by 5,252. By definition, this means the horsepower and torque values are always equal at 5252 rpm. When graphed, the recorded measurements create horsepower and torque curves which will cross at 5252 rpm if they are scaled equally. These curves indicate where the engine is strongest. One aspect of dyno tuning that needs to be discussed is results. Results will vary from shop to shop even when using the same manufactured dyno, tire pressures, atmospheric conditions that aren’t corrected for. Skill level of the operator will also contribute to the differences seen. Also beware of what I call the “rolling circus” that travels to big events like Daytona and Sturgis. Some of these dynos are set-up to give “happy horsepower” results by tampering with the computer, a machine that has been modified to read high. Every 875-pound drum has its exact weight stamped on it, and that is the mass the computer works with. The computer can be tricked into thinking the drum is heavier and will display higher results. I recommend watching the operator and asking what type of results he looks for while testing, if he says “max horsepower” walk away. A good technician won’t over rev or over heat the engine. If the engines peak horsepower is at 5000 rpm it doesn’t make much sense to rev it to 6000 rpm. Most Harley riders want to feel usable horsepower and torque which falls in the 2000/4500 rpm range, that’s what I tune for at the Motorcycle Garage. reconstruction. 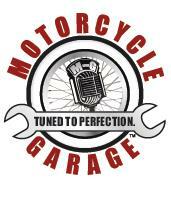 Known for his engine building, tuning, service and award winning show bikes, be sure to book your appointments early.